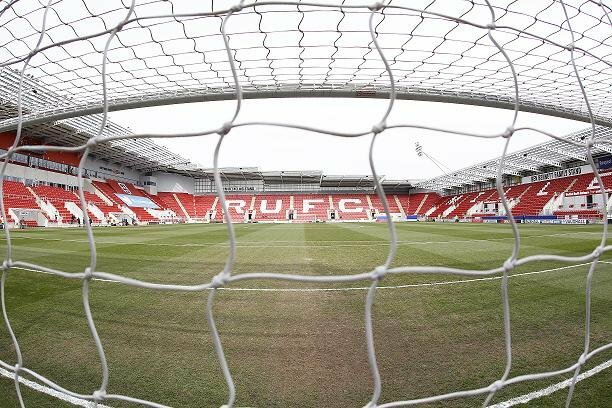 Rotherham United’s first game of 2019 sees Preston North End the visitors to the New York Stadium. Rotherham United dropped into the bottom three after a late goal at Bristol City on Saturday with the Millers down to nine men while a home draw against Aston Villa sees opponents Preston North End come into this game in seventeenth place. North End’s last away game was at South Yorkshire neighbours Sheffield Wednesday who won the game one-nil while Rotherham’s last home game was a four-nil loss to West Bromwich Albion. Rotherham United will be without suspended pair Richie Towell and Billy Jones while Ryan Manning is back with his parent club Queens Park Rangers who recalled him yesterday. The Millers will hope to have Joe Mattock and Clark Robertson available although they will be checked on before the game and there are also a few players with niggley injuries who might have ‘grin and bear it’ and play. This game will come to early for Kyle Vassell and Jamie Proctor is a major doubt. Ben Pearson is suspended for Preston and also missing will be Chris Maxwell, Josh Earl, Ben Davies, Callum Robinson, Louis Moult, Josh Harrop, Sean Maguire and Billy Bodin as well as former Millers loanee Brandon Barker. Also there could be a late fitness test for midfielder Alan Browne. Lee Probert from Wiltshire is the referee for today’s game. Will cost us our place in the championship. PRESTON will have seven players injured or banned and still turn out a good team. I JUST hope the crowd can lift us. I have to agree Graham – all very well having a small squad that all knit nicely together until you are without two or three of them. I thought we did OK in the second half today though. Well he’s back – but didn’t get to play this afternoon.